Anyway, I needed to get some cards done! I wanted something that would be fast, but I also wanted it to be different...uhh....because I'm different...different crazy...but not so crazy that I need to be admitted....close though! 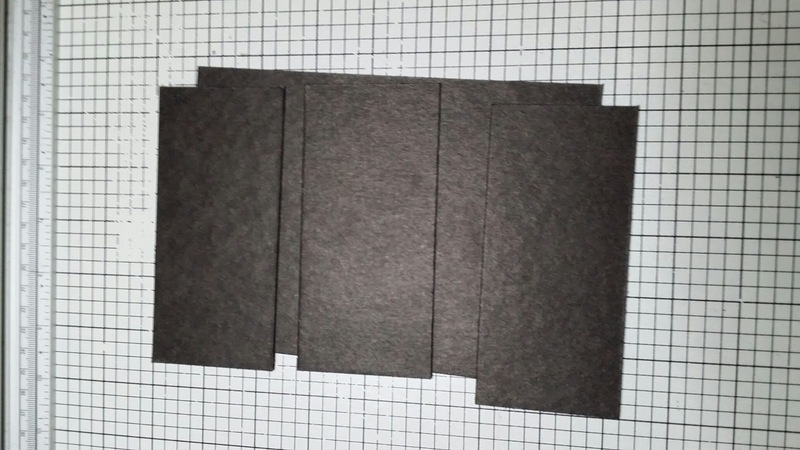 Cut a piece of black cardstock to 1-1/8-inch. Score the hinge piece at 1/2-inch and again at 5/8-inch on scoreboard....NOTE: If the 1/8th-inch thing gets to you, please see my Back to Basic Series located at the top of my blog. Adhere the hinge pieces to the front and back cardpieces. Start at the top and work down. 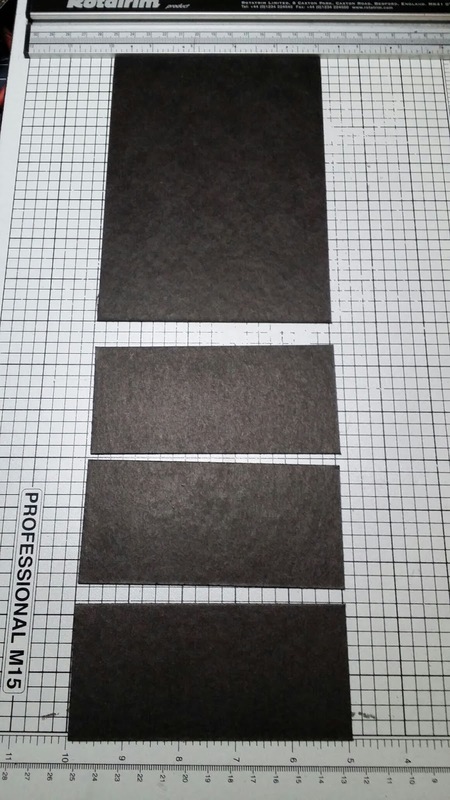 Cut a 2 x 6-inch piece of paper from patterned paper. 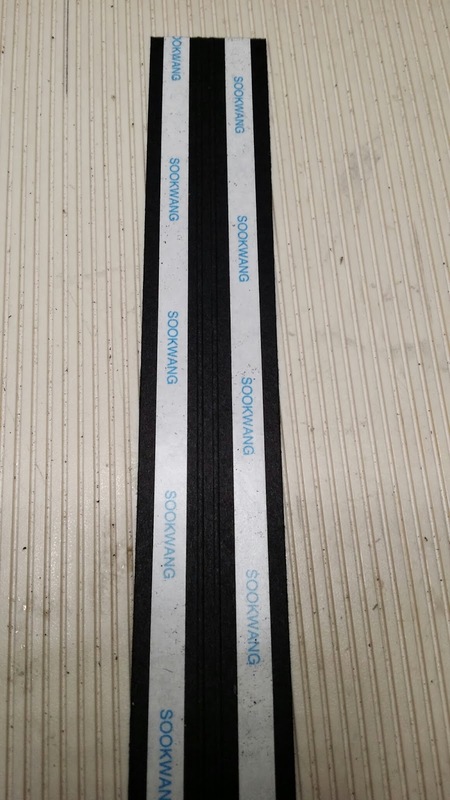 Adhere 1-inch of the top of the strip to the top back of the card. 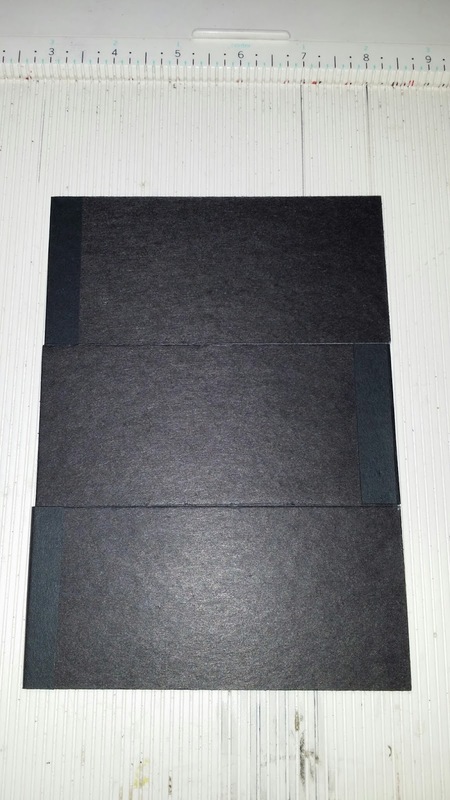 Cover each section of the card.... front, back and interior with the patterned cardstock. 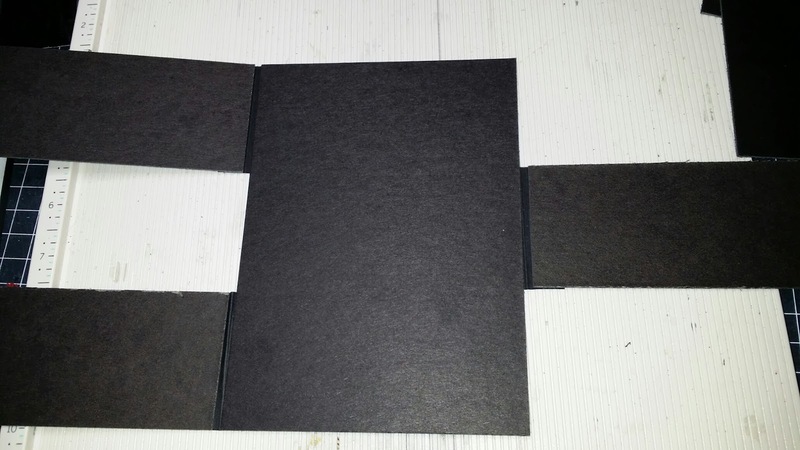 Adhere the reserved loops from above to each of the (3) front sections of the card front. Simply BRILLIANT!!! I LOVE this card!! Thanks for the little video so we can see how it works and for the tutorial!!! GREAT...I miss your USTREAM, or maybe you can do some additional You Tube's...such great talent. Thank you for sharing. This is beautiful, as always. Thank you for this card. It is just beautiful. Fantastic! Love how you are always coming up with unusual card configurations. Thanks for the tutorial. Very clever card, Jim. I didn't know ScorTape had a smell. Must go sniff mine now to verify. Love ya! This is a lovely idea for something a little bit different. Thanks for the video and tutorial. Cute card,and a great tutorial,would love to see more. Give it a go and let us know if you get a chance. Thanks. J. Everything you make is just so, so great! Thanks so much for the tutorial! You haven't been on in awhile & I love watching your videos, so I hope we'll see some more of you soon. Thanks for sharing your talent with us Jim. Great card Jim. Just love the different flaps that open to the message or photo - hmmmmm - that just gave me an idea. Thanks! PS - loved hearing your voice. Miss y'all!!! I am so happy seeing you back working with Graphic 45. I have always particularly liked the items you create from their inspiration. Graphic 45 and Tim Holtz are my own personal favorites and having a designer I can follow who is into those two creative sources, as well... pure heaven. The Couture 12 x 12 should be arriving in my mailbox this afternoon. This will be my first project to create out of that collection! Thanks, Jim. Just beautiful Jim. An outstanding piece of work. How fantastic can you get....great job Jim! How totally fabulous! I love the way your mind works! Your card is absolutely beautiful! Everyone needs a way to release stress, glad you found one for yourself! Hugs!!! AWESOME!!!!! You & your tutorial are awesome!! Great post! I find arts and crafts as a great form of stress relief - really enjoyed your tutorial.